When the Anthem of the Seas embarks on her first season afloat next April, she will be mostly sailing out of Southampton, calling the southern city home. Royal Caribbean have now revealed plans to extend her UK tenancy beyond the originally expected date, stressing the importance of the UK in their international plans. Royal Caribbean have explained their decision to keep a Quantum Class ship in the UK indefinitely, which is most likely to be the Anthem for the foreseeable future. 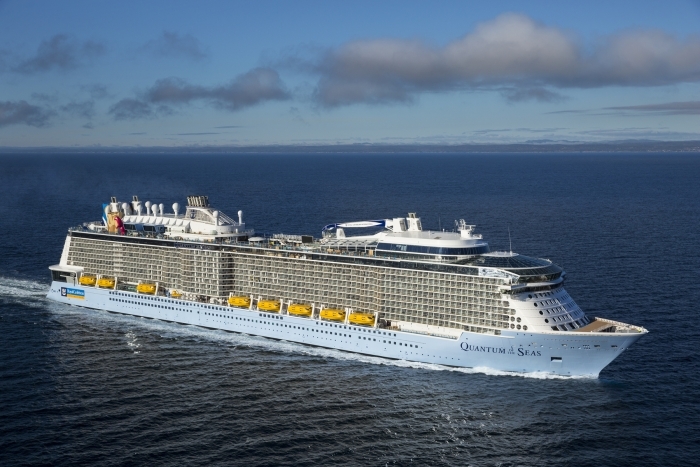 The eldest member of the class, Quantum of the Seas is pencilled in for a lengthy stay in China after her maiden season of sailing out of New Jersey, capitalising on the growing cruise market in Asia, and third member Ovation of the Seas not due to take to the open ocean until late 2016. “For us to place a brand new $1 billion ship in the UK is massive. By bringing it to the UK, we’re saying that we recognise this is a strategic market for us. “We’ve been sailing out of the UK for 10 years [with Independence of the Seas]I think we’re ready for the next thing. The goal is to have a Quantum-class ship staying in the UK – we’re not just doing this for one season. We want Anthem to be seen as an iconic UK ship, assuming that it is successful. Despite the relatively small population of the UK compared to other destinations, Paul believes Royal Caribbean will have no trouble attracting sufficient interest. The maiden voyage of the Quantum of the Seas embarked from Southampton earlier this month, further demonstrating the positional importance of the UK to Royal Caribbean’s global plans. 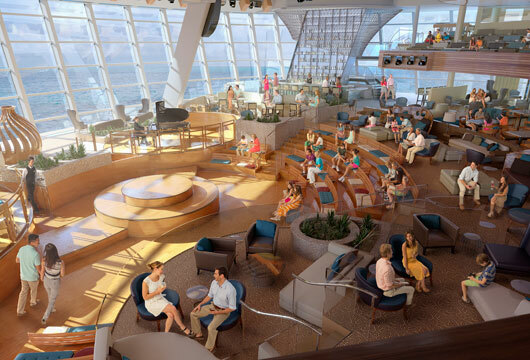 Details about the Ovation of the Seas are still scarce with Paul revealing no plans have been cemented about the ship’s homeport or first season itineraries.